An open plan, ground floor garden apartment in the wing of a country house on the banks of the River Blackwater. One can walk along the river to the centre of the historic town of Maldon which offers a good range of pubs and restaurants as well as individual shops and other facilities. Fishing from the garden is possible and canoeing on the adjoining canal. There are excellent golf courses within the surrounding area and great sailing on the Rivers Blackwater and Crouch. The property is situated in a tiny hamlet with no direct neighbours. I first fell in love with Croatia on a sailing holiday in 2004. The crystal clear waters of the Adriatic are undeniably welcoming as are the people. I returned the following year with the idea of finding a retreat to which I could escape when UK weather or general stress became too much to handle. I now like to share the experience with others and find that they too inevitably have a memorable and enjoyable stay. 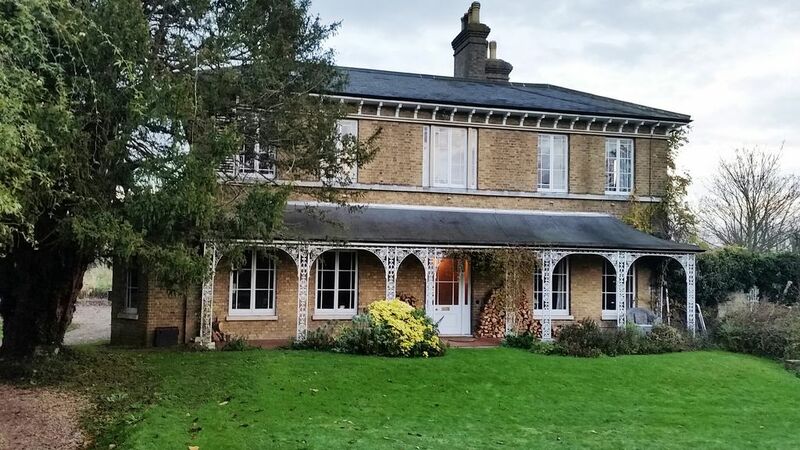 We also share the wonderful location of our house in the UK which we have had the good fortune to occupy for over 25 years and which lies beside the River Blackwater. A self contained annexe with it's own garden onto the river provides a perfect hideaway for two for either short stays or temporary accommodation for visiting relatives or between house sale and purchase. This property is part of our own house in which we have lived for over 25 years. It is in a spectacular position by the river and yet only a mile from the market town of Maldon with its historic connections to the Vikings and with the beautiful sailing barges which navigated the Thames and Blackwater in the past. There is lots to see in the local surrounding area and if you wish to visit the capital Central London is 50 miles by road or easily reached by train from either Witham, Hatfield Peveral or Chelmsford stations. The Roman city of Colchester lies about 20 miles to the North. However, the Annexe itself is in a haven of tranquillity together with our house. The true beauty of this property is that you can just relax in almost total tranquility beside the river watching the swans and the tide swelling and ebbing whilst the pheasants strut their stuff on your lawn. Huge shower room with open fire and under-floor heating. Open plan living area with high ceiling and large open fire and with views over the garden through tall windows. L-shaped double sofa bed, TV, DVD and coffee table. There are 2 pay and play courses within a few miles. Bunsay Downs is situated in Woodham Walter and Braxted Park, in Great Braxted. Tennis courts available in Maldon. Notes on accommodation: Being on the banks of the river obviously means care needs to be taken if staying with children. A child's extendable bed/wooden cot is available if specifically required. Outside: Garden by the river with views over to the golf course. Outdoor furniture supplied in the Summer months. Cleaning / Towels / Linen / Maid service: All linen included. The apartment is cleaned during the changeover period. However, guests are requested to leave the apartment as they would wish to find it. Other: Dining area with table and 6 chairs. Lovely characterful apartment in a great location. We stayed here for a weekend while we attended a family event. The apartment was well appointed (all bathroom essentials provided for example) and lovely and clean. We made use of the open fire place and it made it really cosy. The garden is ideal if you are travelling with a dog. It is ideally situated for Maldon where Promenade Park is well worth a visit. The owners Sue and Ron were lovely, even offering to look after our puppy while we attended the function. We would love to come back in the better weather to appreciate the local area better. Superb. Thank you for leaving the apartment so beautifully clean and tidy. It is much appreciated and we look forward to seeing you both and of course Arthur, who is the star of the show, again. We found this to be a wonderful secluded place to stay in a great location, which is close to all the facilities that you will need. Beautiful location, and comfortable apartment. Thank you both for your kind words and we enjoyed having you to stay with us in such beautiful weather. Come again and use one of the boats and we look forward to seeing you. Great flat, lovely hosts. Furnishings top notch. Grand and stylish but welcoming too. Recommended. Truly relaxing place to stay. Very peaceful and quiet (almost hidden) but also convenient - near enough to Maldon for necessities and entertainments (tea shop on a moored barge, riverside pubs, good park for children). The excellent weather helped and several easy walks nearby along golf course to the large Tesco in town were pleasurable. etc - even a canoe is available. The flat is just next to Beeleigh Falls which is an unusual place to explore with so many watercourses joining in one spot. Plus interesting trips further afield - Flatford Mill and Dedham, Hyde Hall Garden, Colchester etc. Would definitely recommend. Thank you for your kind words and we are always so delighted when our guests enjoy the surroundings and what we have to offer. Hope to see you both again one day. My wife and I had a wonderful week in the annex to the main house. Good weather helped but no complaints at all. Plenty of walks from the house, tidal river alongside, easy walk to Maldon which is a 'hidden gem'. Good train service to London from nearby town. Lovely coastal and riverside walks. Canoeing on the canal. Bikes are available to loan for exploration locally. Maldon is on the Blackwater estuary and offers sailing and excursions on the famous Maldon sailing barges. Nearby Burnham-on-Crouch has a distinctly nautical atmosphere, nestling on the banks of the River Crouch amid the unspoilt Dengie Marshes, providing a haven for many species of wildfowl. From here it is possible to explore 15 miles of fine sailing before reaching the sea. Maldon also provides a leisure centre with heated indoor pool and tennis courts. Stansted airport is approx 45 mins drive away. Central London is 50 miles away. Hatfield Peveral, on the mainline to London Liverpool St, is 5 miles away and alternative stations include Chelmsford and Witham. Maldon - 1 mile, the historic town of Colchester (understood to be the oldest in Britain), - 20 miles and Chelmsford, the County Town of Essex,- 10 miles. Other places of interest within easy driving distance include the old wool town of Coggeshall, the splendid beach at Frinton-on-sea and the market town of Halstead. Both Tesco and Morrisons have large outlets in Maldon and for the more adventurous, Tesco can be reached by canoe!